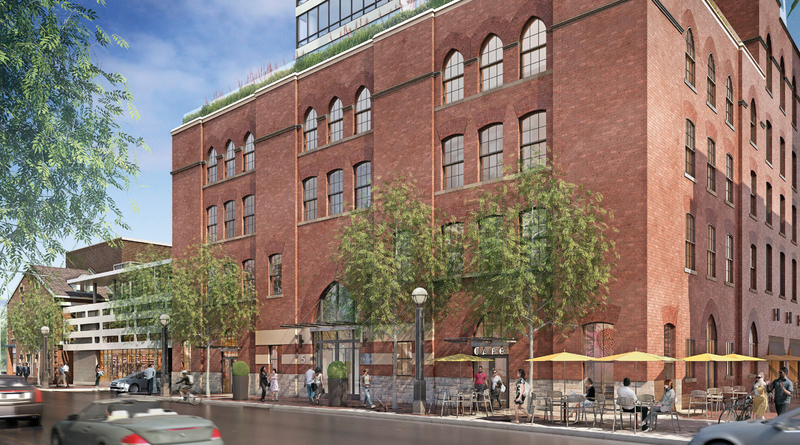 In the fall, RBC signed on as one of the lead tenants in the new retail venues to be housed in historic 1880s buildings as part of FIVE Condos at St. Joseph – and what fabulous news that is! Brought to you by Graywood Developments Ltd. and Mod Developments Inc., this incredible condominium is currently under construction on Yonge Street south of Bloor. The inclusion of retail in this mixed-use development follows a current trend, which makes condo living more convenient than ever. Plus, the developers and RBC obviously recognize the potential in this successful residence and the significance of its location. Ground-floor retail is an obvious go-to for condo design. These shops and services will animate the street level, offer residents the nicety of being able to run errands without leaving home, and provide a built-in clientele for shop owners. It really is a win-win-win scenario. 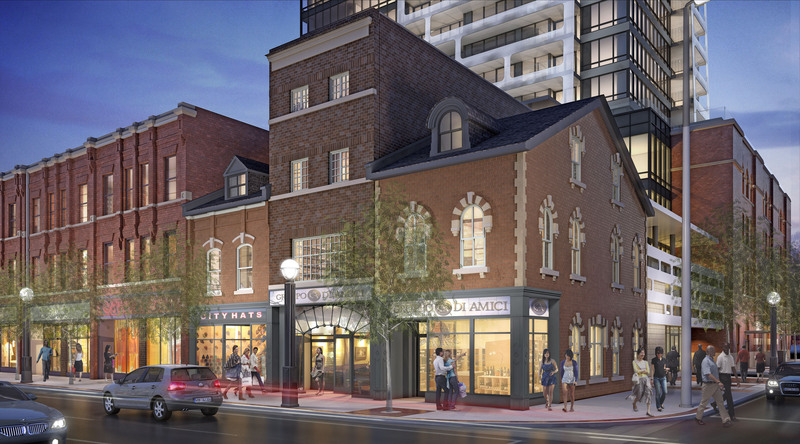 And residents of FIVE Condos will enjoy so much more, including a striking exterior by Hariri Pontarini Architects, with ERA Architects restoring aspects of the historic buildings that will house the retail. The inimitable Cecconi Simone is appointing the interiors including a fabulous 10,000 sq. ft. amenity space called FIVE on FIVE. The opportunities for keeping active and socializing with neighbours are so varied that the condo will have its own 7-days-a-week recreational director! Plus, the outdoor roof garden is sure to be a popular spot for barbecuing and entertaining. In addition to a wide variety of unique suite designs, buyers at FIVE Condos will receive beautiful and luxurious suite features and finishes such as Cecconi Simone-designed kitchen and bathroom cabinetry. Suites are going quickly and construction is well underway, so act now to become part of this remarkable condominium neighborhood. The sales centre is located at the corner of Yonge and St. Joseph Street. Call 416-928-0555 or visit www.fivecondos.com. Anyone with retail inquiries should call Jane Baldwin at 416-366-3183 x 262.